Authors: Promote your Alternative thinking books free in our Goodreads group! We invite authors to promote their Alternative thinking books free of charge in our burgeoning Underground Knowledge discussion group on Goodreads. The group achieved a milestone recently when membership topped 5,000 ‘Undergrounders’ (members) worldwide! (See our previous blog post). Holocaust survivor Peter Kubicek is an author I recommend to all those interested in history, WW2 and human nature https://www.goodreads.com/author/show… Peter has written one of the most powerful yet concise Holocaust memoirs I have ever read titled Memories of Evil: Recalling a World War II Childhood. Sibel Edmonds (AKA ‘The most classified woman in U.S. history’) https://www.goodreads.com/author/show… Sibel has written some brilliant whistleblowing books, both in non-fiction and fiction, and is one fearless woman. Award-winning journalist and Pulitzer Prize nominated author Gerald Posner: https://www.goodreads.com/author/show… Gerald’s recently published God’s Bankers: A History of Money and Power at the Vatican is well worth a read. Hetty Verolme is another Holocaust survivor with an astonishing true survival story https://www.goodreads.com/author/show… She tells the Holocaust from a different perspective, having been placed by the Nazis in the “Children’s House” in the Belsen Concentration Camp and forced to become a mother to younger children while still a young teenager herself. Bruce R. Fenton is currently stirring things up: https://www.goodreads.com/author/show… Bruce has written a controversial new book (with a foreword by Graham Hancock) that challenges commonly accepted theories on human origins – it’s titled The Forgotten Exodus: The Into Africa Theory of Human Evolution. 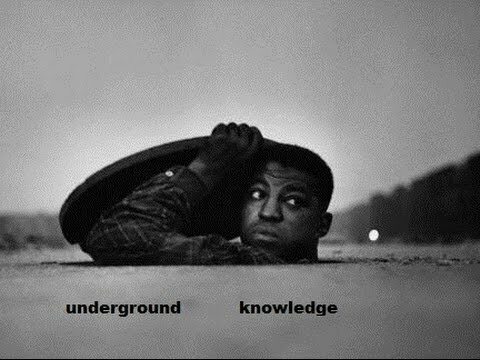 And finally, there’s my co-writer Lance Morcan and myself and our non-fiction series (7 books so far and counting) aptly titled Underground Knowledge: https://www.goodreads.com/series/1425… This series discloses more than a few secrets, if I do say so myself!